Ilana Gelfond-Polnariev, O.D., FCOVD Lucia Patino, O.D. We are a multi-specialty health center providing care to adults and children. The Vision Therapy program at EZRA Medical was developed based on the realization that excelling in the classroom is more than just "seeing" what is written on the board. The program is directed by Developmental Optometrists of SUNY (State University of New York) College of Optometry. This unique program has helped hundreds of children and adults in our community improve their visual skills. 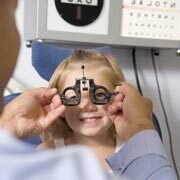 Besides optometry and vision therapy, we offer services such as dentistry, primary care and podiatry for all ages.